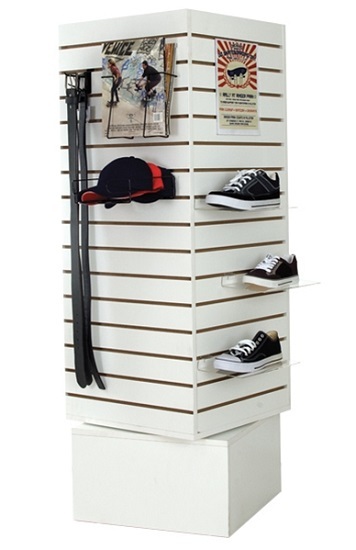 This rotating slatwall floor display unit presents merchandise from 4 sides. 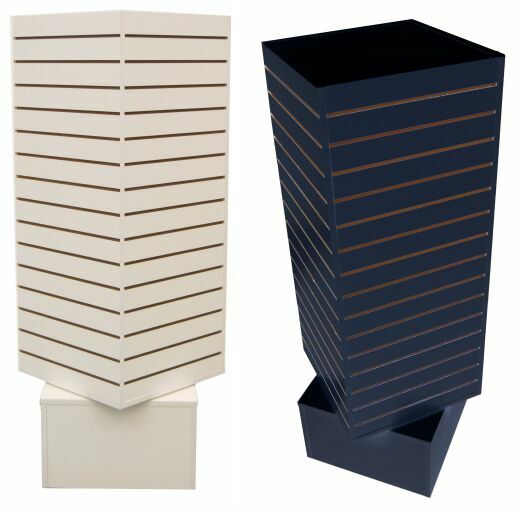 Made of low-pressure laminated melamine, uses any slatwall accessories, brackets & shelves. 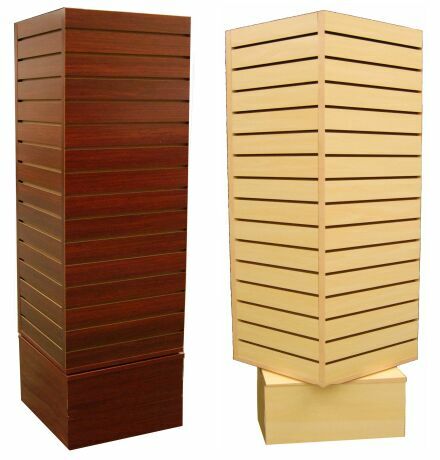 Functional and freestanding slatwall displayer is an excellent choice to display any merchandise. Each slatwall side is 20"wide. Colors: white, black, cherry, maple. Dimensions: 20"W x 20"D x 61"H. **Ships knockdown, ready to assemble.